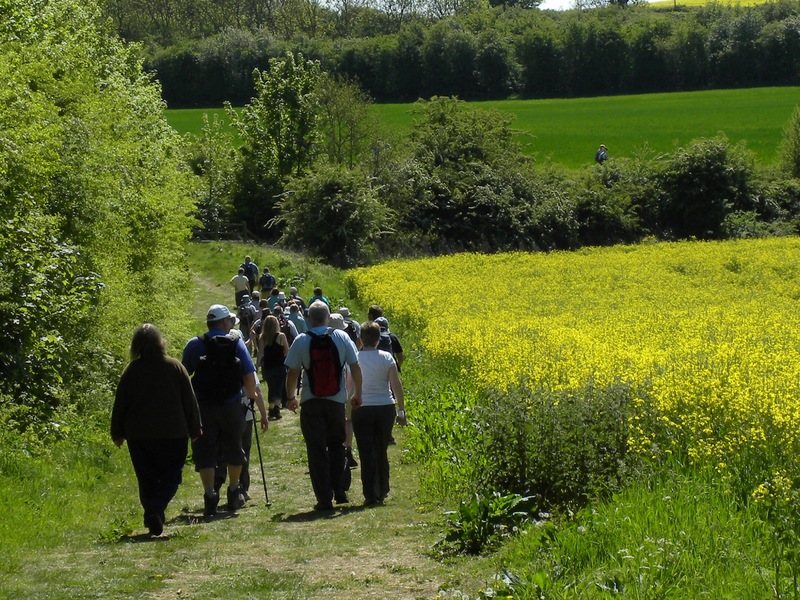 The 15th Lincolnshire Wolds Walking Festival is confirmed. We have more than 120 activities and walks to choose from this year, with the launch at Legbourne, east of Louth with 10 events and a grand finale featuring 8 different activities/walks at Scrivelsby Park, south of Horncastle. Hope to see you there. Have you come on your own or in a group? If in a group, how many were in the group? Did you have a reason for choosing this walk? We welcome any additional comments about this walk or the festival in general. Is this the first time you have walked this route? Have you taken part in the LWWF before? We are hoping to make the walk routes available on Active Lincolnshire's GoExplore walking app after the festival. Would this encourage you to do more walking? Have you travelled from home today? If yes, how far have you travelled? If not travelling, where are you staying? How did you get to the start of your walk? After the walk, will you? We are delighted to be part of Lincolnshire County Council's Access Lincoln project, promoting sustainable travel through walking and cycling. Have you heard about Access Lincoln? If yes, are you taking part in the festival as a result of Access Lincoln promotion of Easy Walks? Would you consider yourself a? Over what sort of distance would you normally walk? If you picked up a brochure, could you tell us where from please? Have you been able to get all the information you need? We rely on income from walk charges and donations in order to cover the costs of running the festival and ensure we can keep it going for the future. We aim to keep prices low to ensure everyone is able to take part. Do you have any comments on our approach to walk charges? Please comment below. Did you make a donation to the festival? Thank you for taking the time to complete this evaluation form. Data collected from this consultation exercise will only be used for the purpose of service improvement and will be processed in accordance with relevant legislation, in particular the Data Protection Act 1998/GDPR 2018. We will remove all personal/sensitive data one week after the prize draw closing date. All other information will be retained for evaluation purposes. Your feedback is vital in letting us, AND OUR FUNDERS, know more about who takes part in the festival.